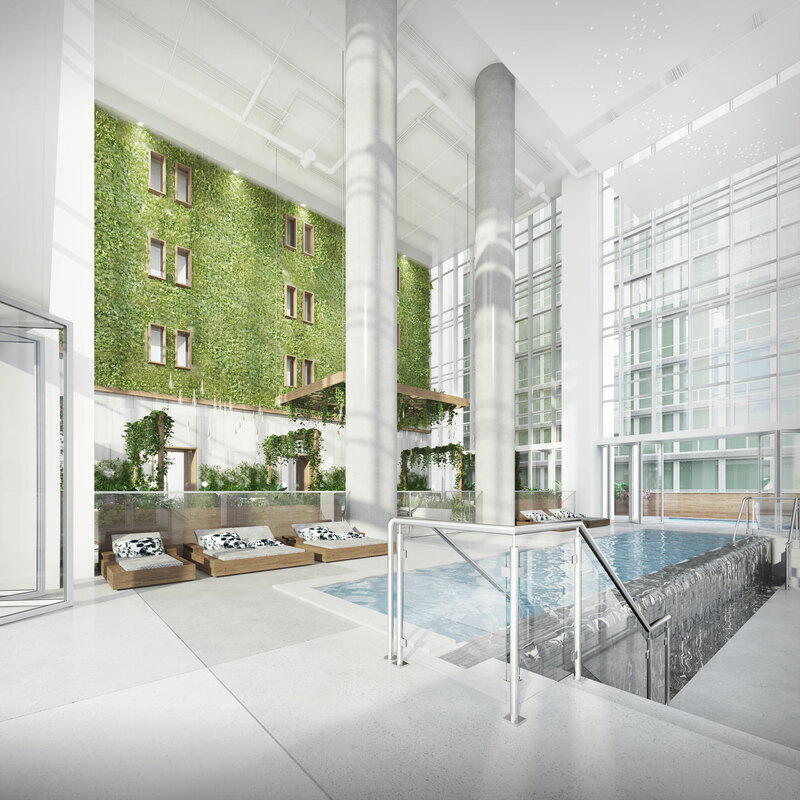 Essex on the Park is a 479-unit, 56-story apartment tower at 808 S Michigan Ave in the South Loop. Essex on the Park is the first new construction on the landmark South Michigan Avenue street wall in 60 years. At 620 feet, it’s also the tallest building on South Michigan. Essex welcomed its first residents on March 1, 2019. 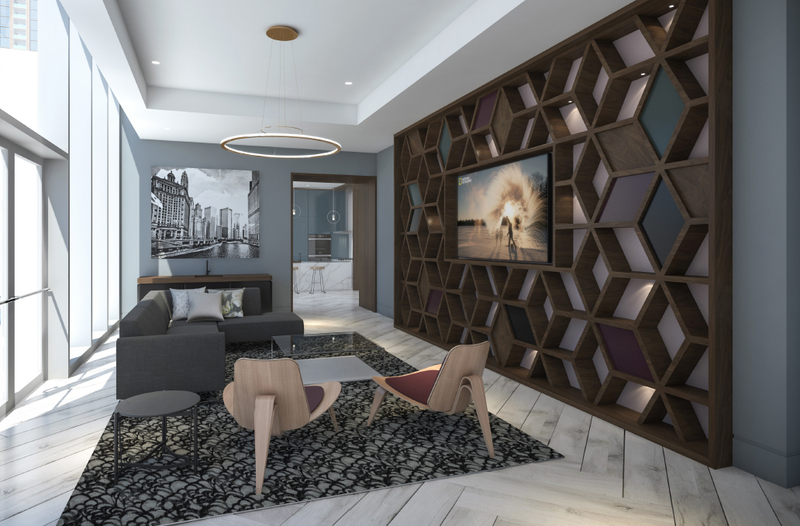 Oxford Capital Group, which is best known for luxury lifestyle hotels, is the developer. Hartshorne Plunkard is the architecture firm and Power Construction is the general contractor. 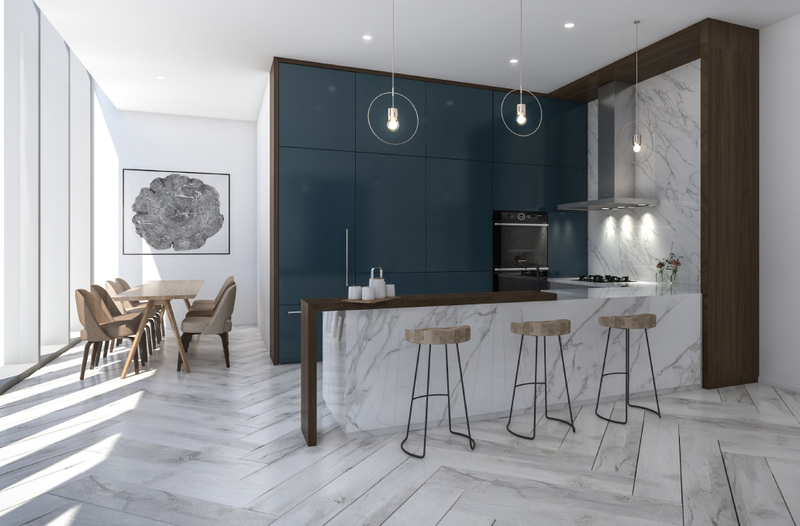 Essex on the Park offers studio to 4-bedroom duplex penthouse apartments. Views. Essex on the Park soars high above its surroundings and has great views in every direction. 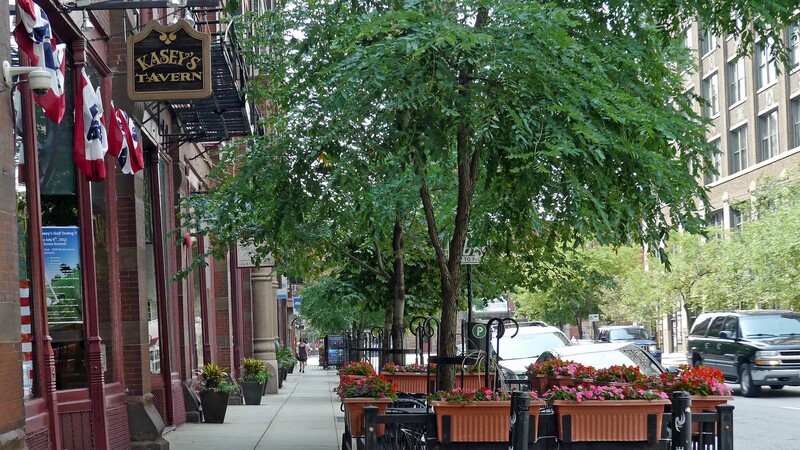 Essex on the Park has a convenient location close to the Loop, parks, transportation, shopping and major attractions. 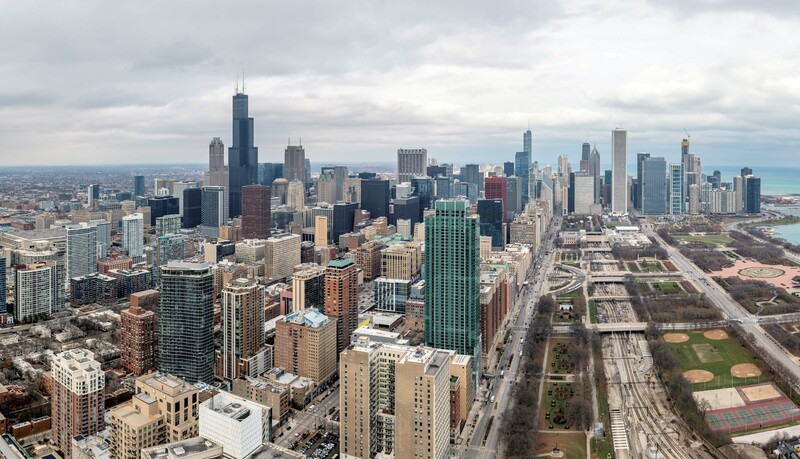 Essex on the Park is just east of the Printers Row neighborhood and within a short walk of a number of local colleges and universities. Shopping. Essex on the Park has fairly convenient access to grocery shopping. 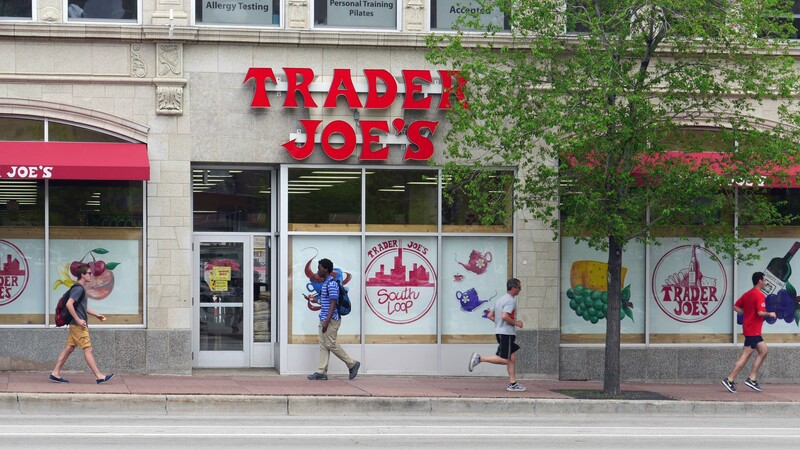 Trader Joe’s, Target and Jewel-Osco are a few blocks south. 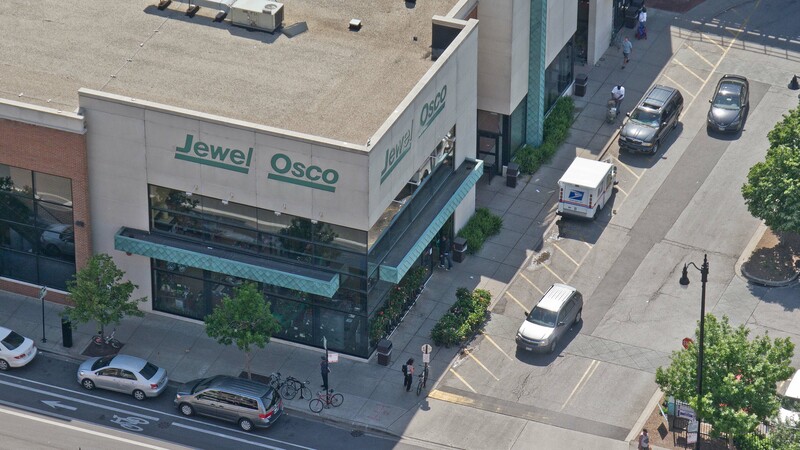 There are full-service pharmacies in the Jewel and Target, and a Walgreens is a few short blocks from the building. A number of convenience stores are nearby. 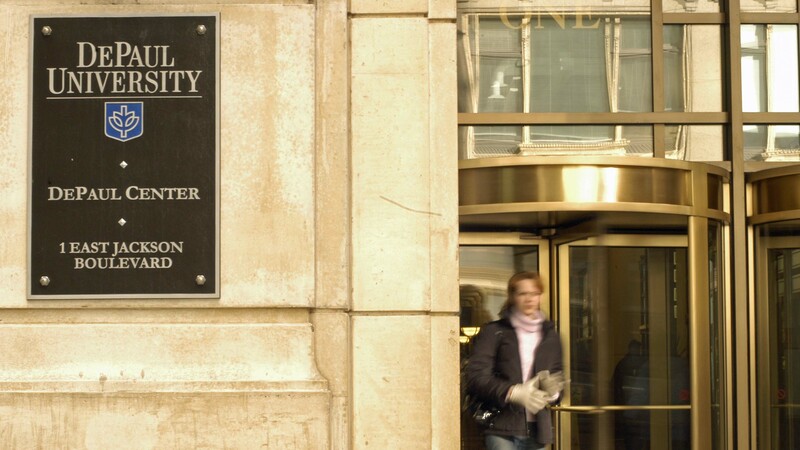 The most convenient retail cluster for Essex on the Park residents will be the State Street shops, anchored by Macy’s. 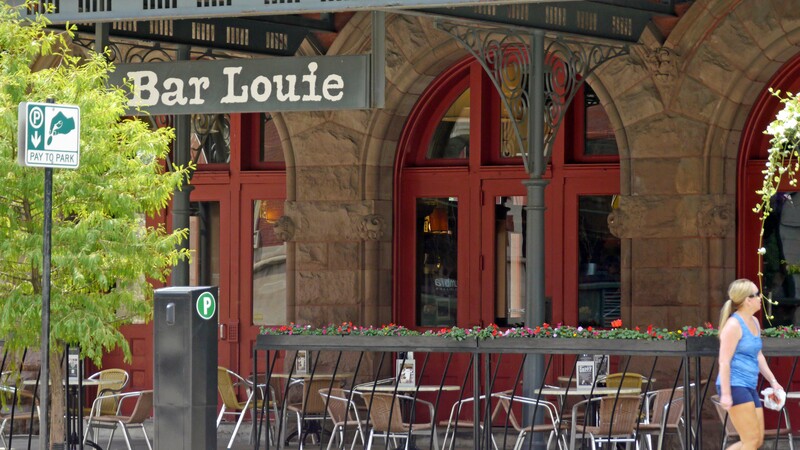 There are a number of friendly, neighborhood-oriented spots near Essex on the Park in addition to the restaurants in the neighboring Essex Hotel and other Michigan Ave hotels. 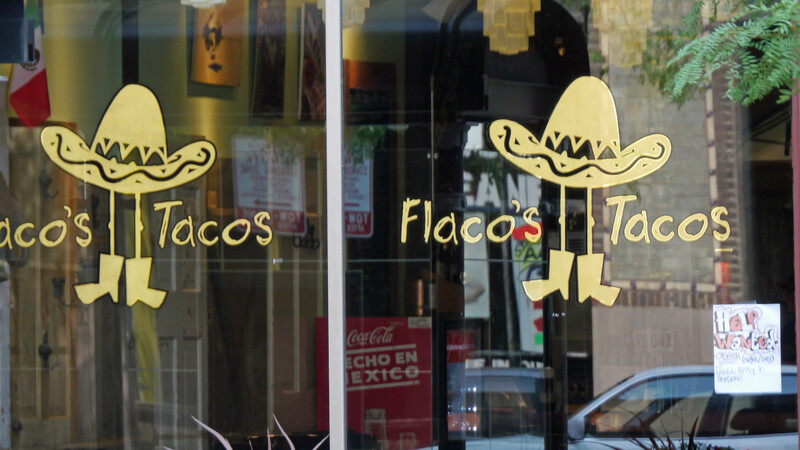 Printers Row venues that merit a visit include Flaco’s Tacos, Hackney’s, Kasey’s Tavern and Bar Louie. 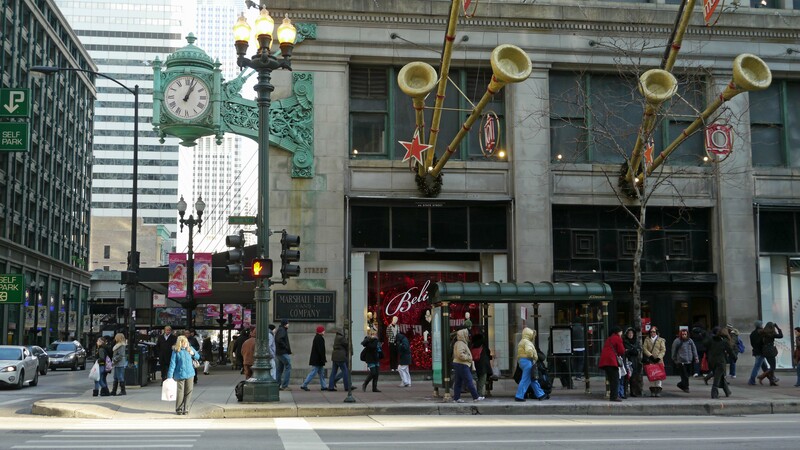 Jimmy John’s, Lou Malnati’s and Pauly’s Pizzeria are around the corner from Essex on the Park. 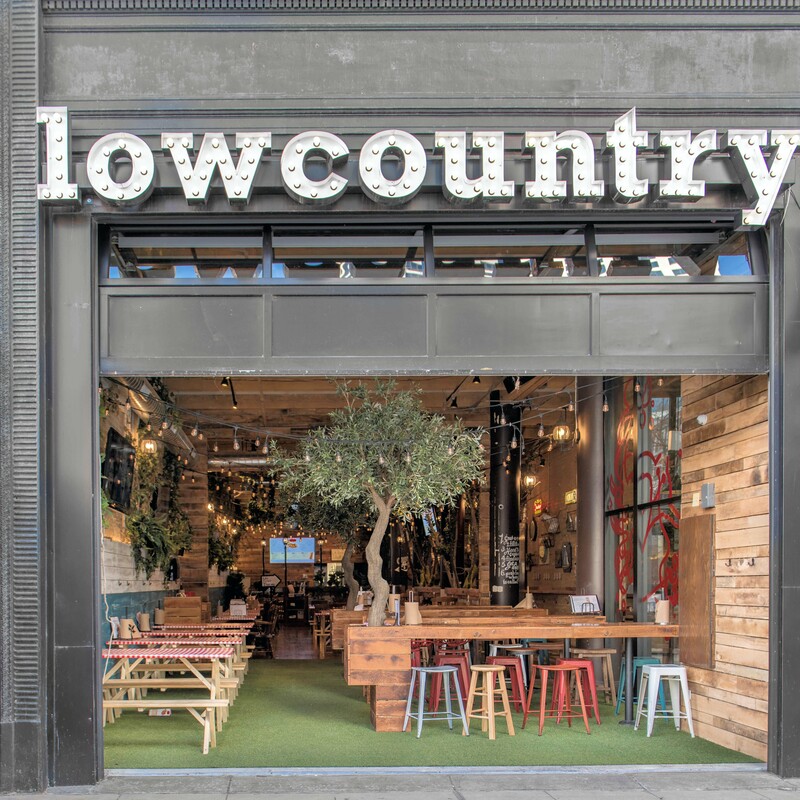 Lowcountry on Wabash has quickly become a local favorite. 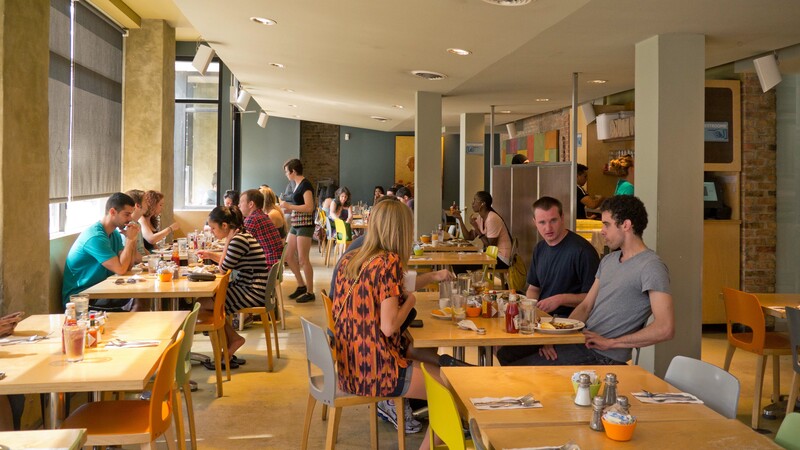 There are dozens of additional restaurants within a few minutes’ walk of Essex on the Park. 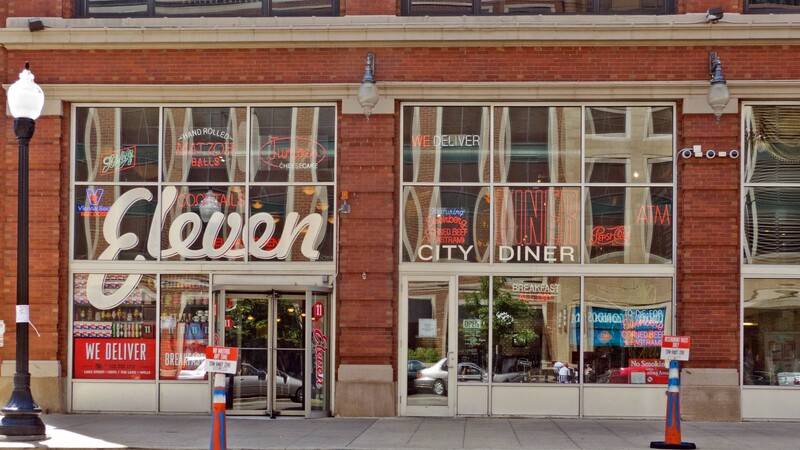 Breakfast favorites include Bongo Room, Eleven City Diner and Yolk. 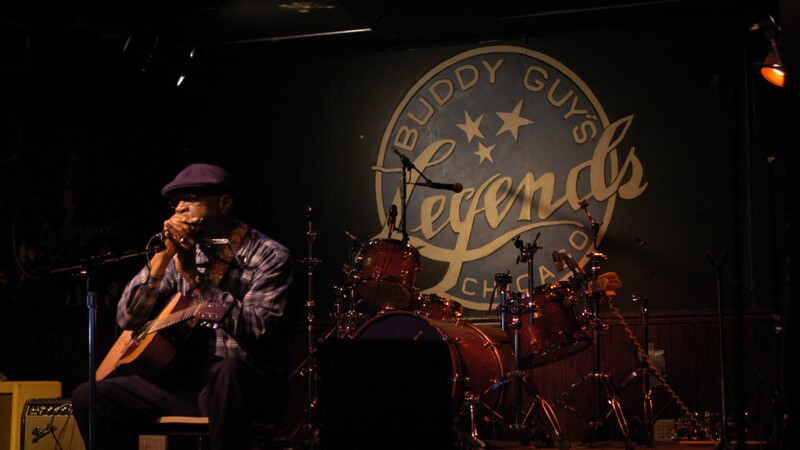 Blues lovers can head around the corner to Buddy Guy’s Legends at 700 S Wabash. 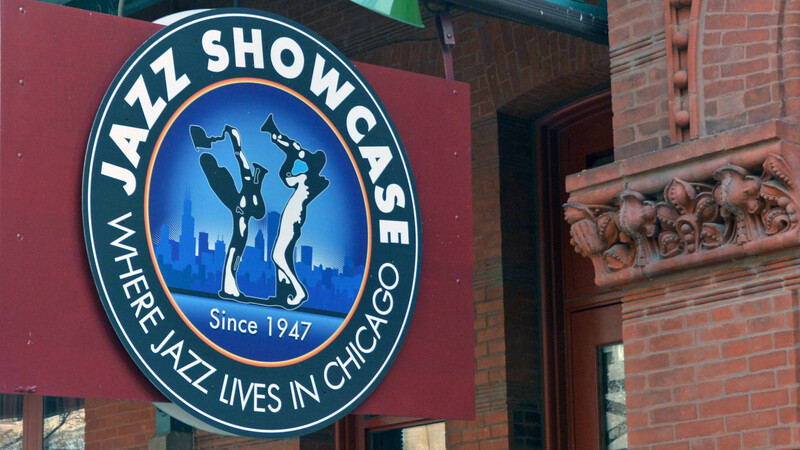 Jazz Showcase serves up live music seven nights a week and at a Sunday matinee at Dearborn Station, a short stroll west of Essex on the Park. 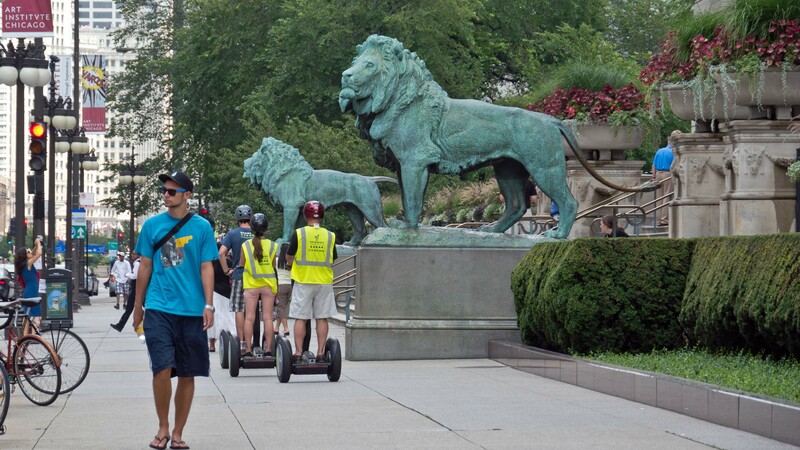 Parks, recreation, culture. 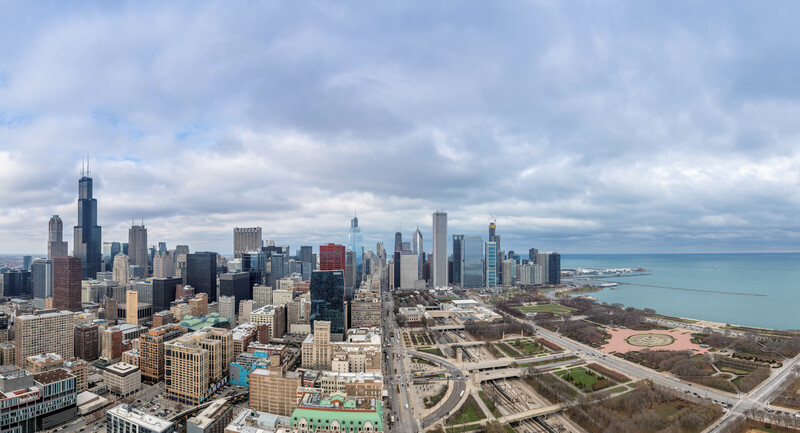 With the 312-acre Grant Park directly across the street, Essex residents have great access to outdoor recreational opportunities and the many events that take place in the park. 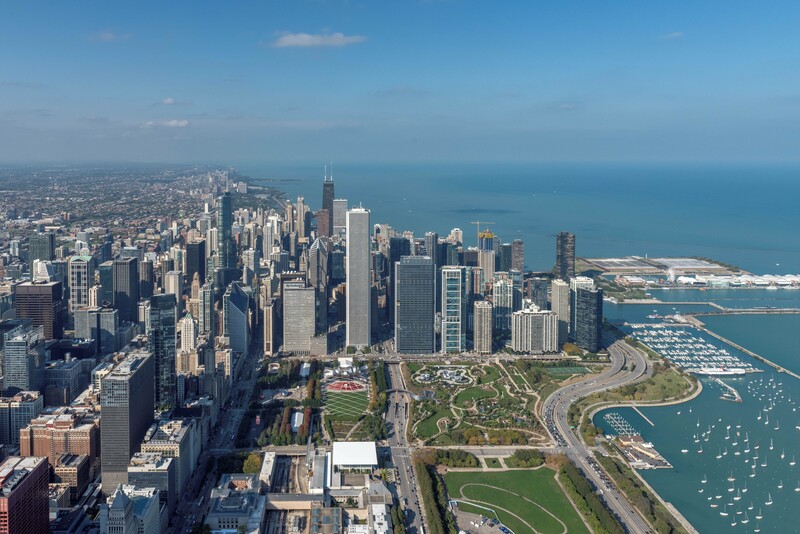 The Art Institute, the Museum Campus, the Symphony Center, and Millennium and Maggie Daley Parks are all within walking distance. 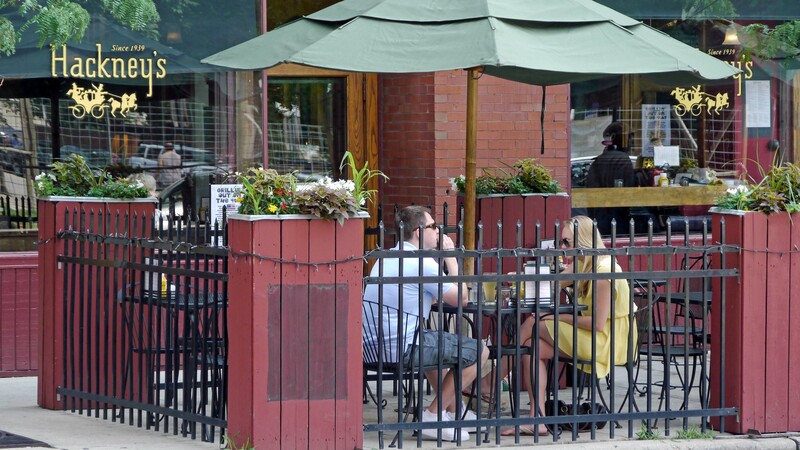 Essex on the Park is a short walk from CTA train stops at Roosevelt and State and State and Harrison. 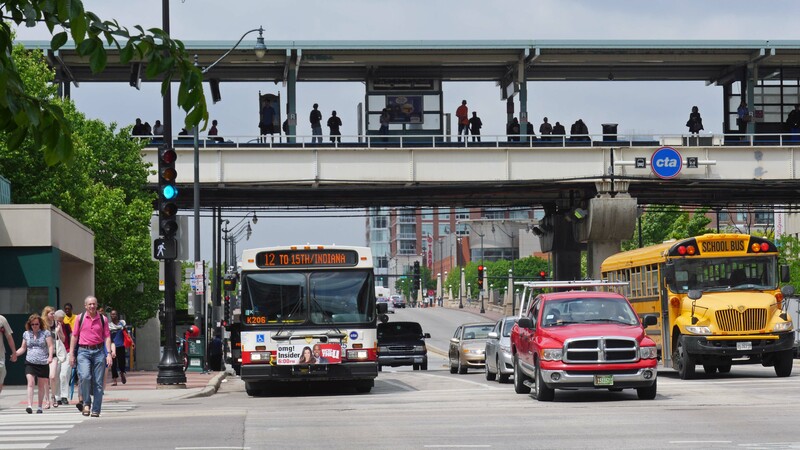 Multiple CTA bus routes run along Michigan Ave, in front of the building, and on State St two short blocks west of the building. 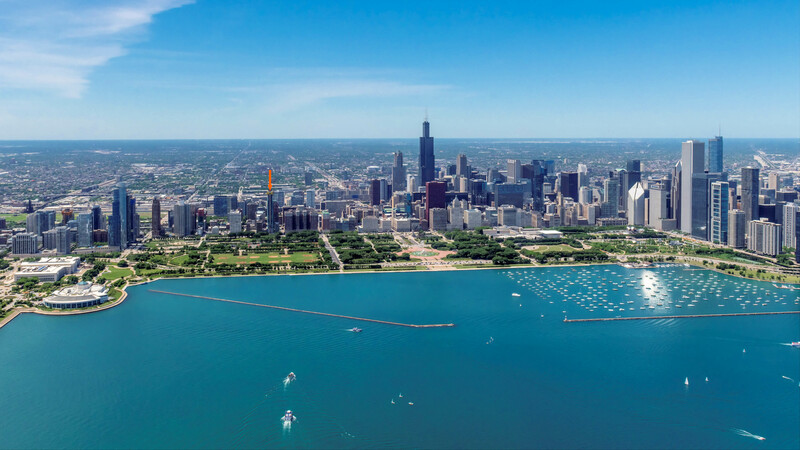 Residents who commute by bike can grab a DIVVY bike across the street. Taxi and Uber service is generally excellent at the location. Zipcar car sharing locations are within a block. Note:Essex on the Park is a YoChicago advertiser.